Home > Fox's Erickson Agrees That "The Homosexual Movement Is ... Destroying America"
On July 22, Georgia Republican Jody Hice won the Republican primary to succeed Rep. Paul Broun (R-GA) in the state's 10th congressional district. 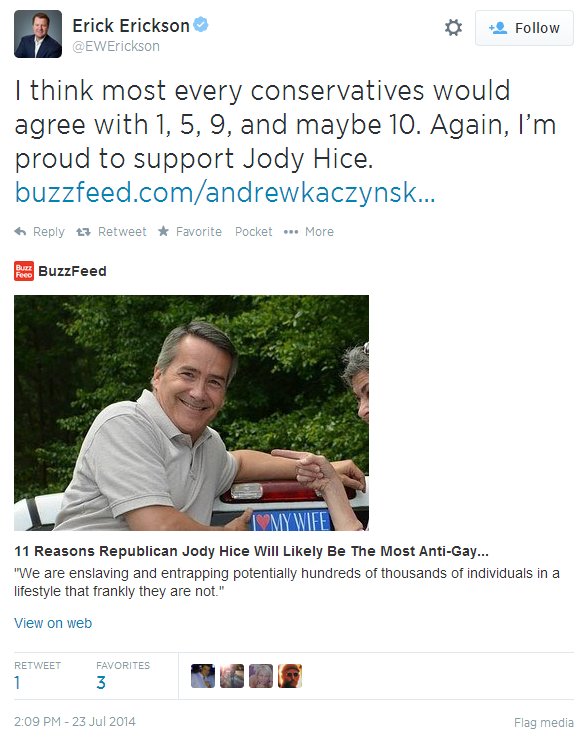 In the wake of Hice's victory, BuzzFeed's Andrew Kacynski highlighted  11 examples of Hice's history of inflammatory commentary on LGBT issues. Erickson himself has made clear that he endorses harmful  and discredited  efforts to change gay people's identities, having written on June 20 that gay people must "overcome" the "struggle"  of homosexuality. At Fox, Erickson stands out as one of the network's most rabidly anti-LGBT commentators. 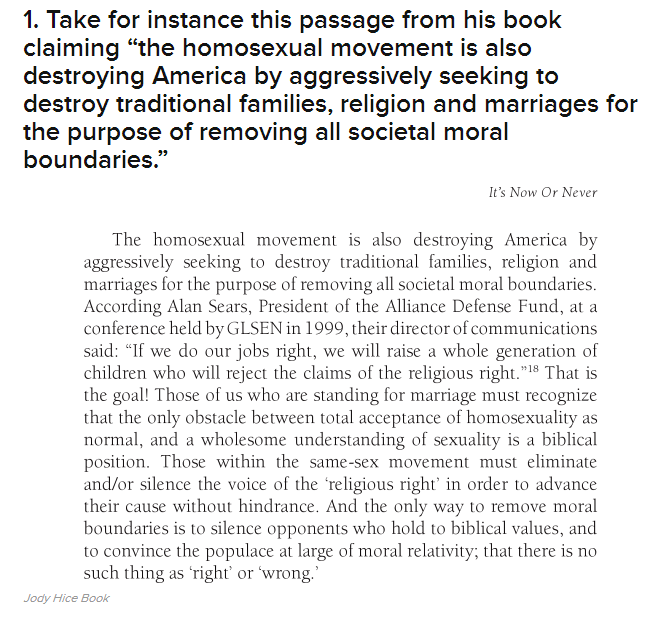 He has previously written that gay people are on the "road to hell " and warned businesses that serve gay couples that they are "aiding and abetting " sin. Moreover, Erickson is a prominent  supporter  of Alliance Defending Freedom (ADF), a right-wing legal group working internationally to help criminalize homosexuality.